Kurtz & Blum, PLLC founding partner Howard Kurtz, a Raleigh criminal lawyer, supports the rumored authorization of $ 2 million in additional funding for North Carolina's public defense system. Rumors of the increase surfaced following the budget talks recently held by state legislators. The additional funds are supposed to be used for hiring additional public defenders across the state, in order to meet the demand for indigent defense services that has increased since the economic slowdown of 2008. According to the firm, this move by the legislators could mean that North Carolina is finally enacting measures that will make the state criminal justice system fulfill the requirements of the 6th Amendment of the U.S. Constitution. They also compared the development to that being pursued in Idaho, where lawmakers are scrambling to adequately satisfy obligations for defendants. Both Seth Blum and I are former public defenders, and so as a firm, we wholeheartedly support indigent defendants getting the representation that they deserve. Criminal defense is for everyone, Howard Kurtz, a founding partner with the firm said. He also stressed that having public defenders is a more cost-efficient way of providing representation. Unfortunately, the majority of the counties in North Carolina choose to appoint private counsels to aid indigent clients. Private appointed counsel attorneys bill the State by the hour, whereas public defenders are salaried employees. The $ 2 million a good start, but North Carolina could do more to serve poor defendants, Kurtz added. Led by lawyers Howard A. Kurtz and Seth A. Blum, the firm is composed of qualified North Carolina trial lawyers who provide comprehensive legal services. They aggressively defend the rights of their clients both inside and outside the courtroom while adhering to the highest ethical and professional standards. Each is a trusted Raleigh criminal attorney who represents clients in cases that involve DWI and DUI, as well as misdemeanor, felony, and traffic violations. The firm also focuses on personal injury, workers' compensation, and family law. Moreover, they employ tech-savvy lawyers who have a substantial knowledge and understanding of technological advancements that directly affect the legal industry. They also provide exceptional customer service by treating every client with respect and handling every case with vigilance. 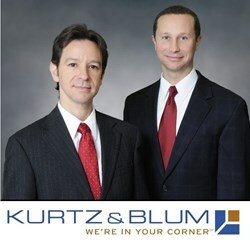 For more information, visit http://www.KurtzAndBlum.com or call 919-832-7700. The law firm provides quality legal services throughout Wake County and North Carolina. They hold an A+ rating from the Better Business Bureau and are members of various groups like the American Association for Justice, the North Carolina Bar Association, and the Advocates for Justice, among others. Litigation Solutions Inc., Colorado Announces The Rehiring Of Erin Perczak » « SiberName explains the importance of having a website today.